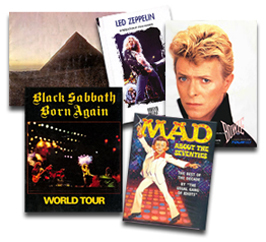 Our book selection consist of various concert Tour Books, limited edition collector books, band management itineraries, vintage lyric sheets and out of print music books. All Books are Limited - Single Stock Items ONLY! No Multiple Items unless specified! Texas Residents please add 8.25% sales tax to your total purchases price. Thank You! Complete Artist List » Can't Find What You Are Looking For? Request an Item or Artist. Many Unlisted Items In Stock. 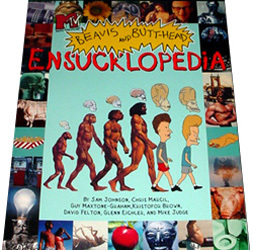 Description: Beavis and Butthead Ensucklopedia. Outrageous disturbingly funny. 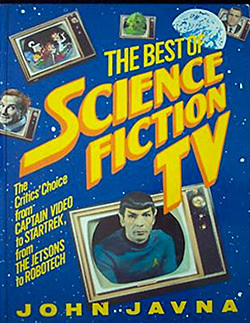 Description: The Best of Science Fiction TV Collectors Book. This book features Star Trek, Lost In Space, The Twilight Zone, The Jetson's and more. 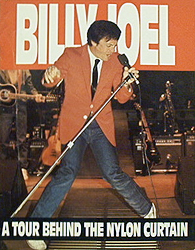 Description: Billy Joel Behind The Nylon Curtain Tour Book. 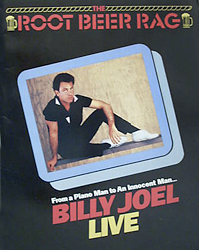 Description: Billy Joel Root Beer Rag collectors book. Description: David Bowie Sound and Vision Tour Book. Note: This item in mint condition. Sealed. 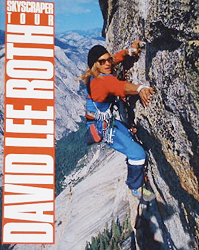 Description: David Lee Roth Skyscraper Tour Book. 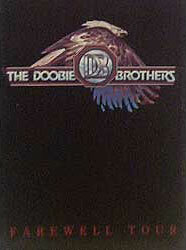 Description: Doobie Brothers Farewell Tour Book. 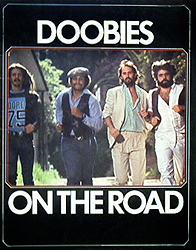 Description: Doobie Brothers On The Road Tour Book. 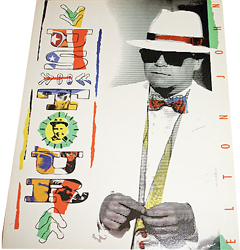 Description: Elton John 1988 Tour Book. Description: Eric Johnson 1990 Guitar Transcription book. 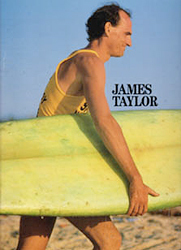 Description: James Taylor 1979 Tour Book. Note: This item in VG+ condition. Hardback. 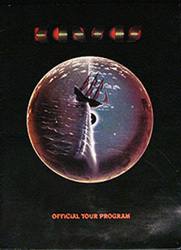 Description: 1978 Kansas Point Of No Return Tour Book. 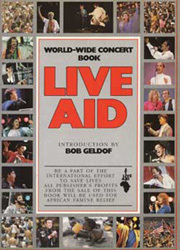 Description: 1986 Live Aid Photo Book. A look back at an incredible event. Photos of all artist from both concerts. 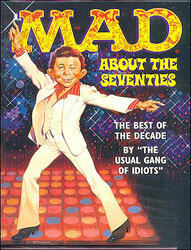 Description: MAD About The Seventies. 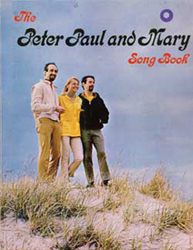 Description: 1972 Peter Paul and Mary song book. 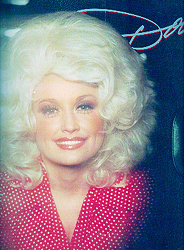 Classic lyrics and guitar chord arrangements. 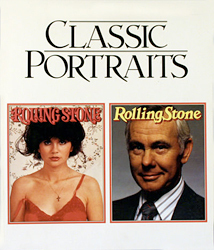 Description: Rolling Stone magazine Classic Portraits collectors book. 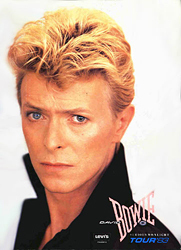 Featuring classic covers from their very first issue and many famous musicians and actors. 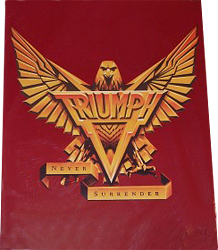 Description: Triumph 1986 Never Surrender Tour Book. 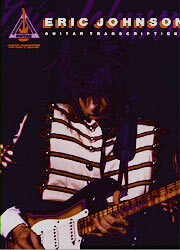 Description: Texxas Jam Book 1978 - 1988. 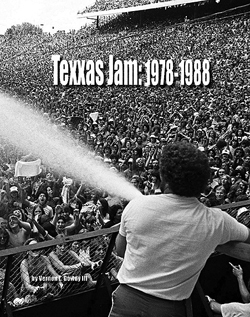 Limited collectors book with hundreds of vintage photos from all the Texxas Jam concert events that tool place between 1978 and 1988 at the Dallas Cotton Bowl and the Houston Astrodome. Limited Copy! Note: This item NEW mint condition. 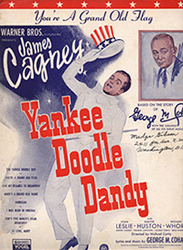 Description: Original James Cagney Yankee Doodle Dandy lyrics.